Cologne - There’s arguably no other club in professional German football that rides the emotional rollercoaster quite like Hamburger SV. The Red Shorts avoided automatic relegation to the second tier by beating FC Schalke 04 2-0 on the final day of the 2014/15 campaign to earn yet another unforeseen stay of execution via the play-offs, where their Bundesliga fate will now be decided in a two-legged tie with Bundesliga 2 outfit Karlsruher SC. The fact Hamburg have been in the self-same position before could, theoretically, give them the edge. Despite losing 3-2 to 1. FSV Mainz 04 on Matchday 34 last season, the Dinos were handed a last-gasp lifeline after the bottom two - Eintracht Braunschweig and 1. FC Nürnberg - suffered costly away defeats to TSG 1899 Hoffenheim and Schalke respectively. 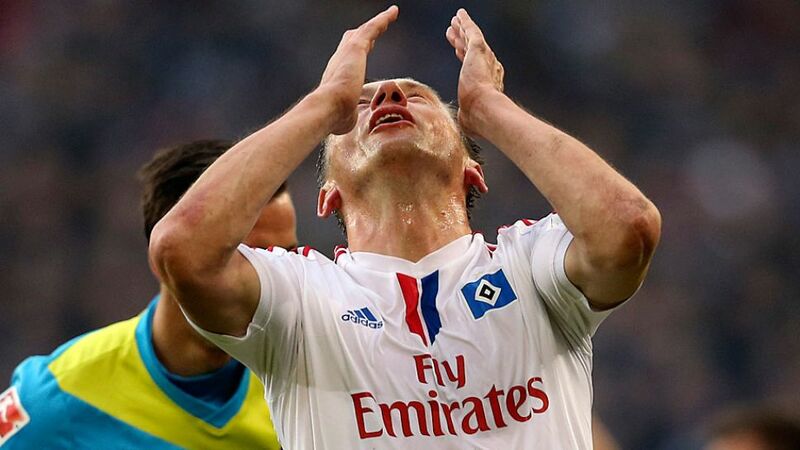 HSV went into the play-offs, ultimately scraping through on away goals at the expense of Greuther Fürth. Since then, the northerners have been through three different head coaches, with the Hamburg hierarchy only appearing to get it right with the mid-April 2015 appointment of Labbadia. The very definition of a managerial merry-go-round, it’s a far cry from the model of continuity that has provided the foundation for one-time German champions Karlsruhe’s renaissance. After dropping down to the 3. Liga at the end of 2011/12, Markus Kauczinski masterminded an immediate return to the second tier as champions. Karlsruhe finished ten points adrift of promotion play-off place occupants Fürth the following spring, but the south-west club managed to get the job done at the second attempt this past weekend, finishing third and only missing out on automatic promotion by a point. Karlsruhe enjoyed a 4-2 home win over Hamburg in the first round of the DFB Cup in August 2012, but it’s almost 23 years since they triumphed on HSV soil. Ivica Olic - scorer of the Red Shorts’ opening goal against Schalke - was on target the last time the two sides met at the Imtech Arena on 23 August 2008, meanwhile, and even grabbed a brace in the corresponding fixture three months earlier. Around about the same time, a certain Rouwen Hennings was struggling to make an impact in the HSV reserves. Fast forward seven years and the Bad Oldsloe native is finally beginning to show a Hamburg side that scored just 25 times in 2014/15 exactly what they’ve been missing, having finished the recently ended campaign as Bundesliga 2 top scorer on 17 goals. The 27-year-old failed to make a single top-flight appearance in HSV colours, but he undoubtedly has the credentials to put that right in the play-off. How ironic it would be if the man the Bundesliga’s only ever-present club let slip through the net all those years ago turns out to be the one to pull the plug on the famous stadium clock that keeps a running tally of the port city club’s 51-plus-year stay in the big time.